The circuit breaker panel in your home is the heart of your homes electrical system. It’s responsible to consistently distribute and receive electricity. Modern circuit breaker panels utilize updated technology to protect your home from power surges and other possible electrical hazards. Federal Pacific electrical panels (FPE) are common circuit breaker panels that were sold and distributed by the Federal Pacific Electric Company during the 1950’s and 1980’s. 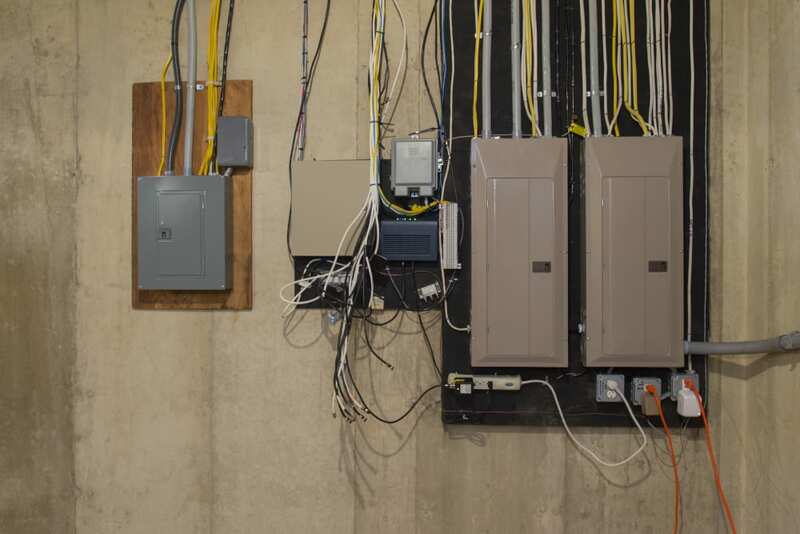 Although these electrical panels may appear to be normal from the outside, they unfortunately pose a serious fire hazard to you and your homes safety. Statistics show that Federal Pacific electrical panel circuit breakers fail to trip 60% of the time leaving your home at risk when a power surge, overcurrent, or short circuit occurs. That’s why at Bonfe, we recommend upgrading these FPE electrical panels whenever we run across them in our customers homes. If you have a Federal Pacific Panel in your home or you are simply not sure, call the Bonfe electrical experts at 651-332-6633 or schedule a free service request. New electrical panels we install include whole house surge protection that provides additional protection to all of your homes critical electronics. With regular maintenance, you can rely on a new electrical panel for 30 years or more offering you continued piece of mind and safety. Therefore, if you think that your home has a Federal Pacific electrical panel, it is best to remove and completely upgrade. We make sure to hire only the most qualified electricians that can quickly diagnose whether your electrical panel needs upgrading and provide an affordable solution on the spot. We want to make sure that we build great and long term relationships with our customers so that we can keep providing you with great service in the future. Call 651-332-6633 and schedule with one of our electricians today! He’ll arrive in one of our clearly marked trucks, be wearing an ID badge and will use floor mats and shoe covers to protect your home. If he doesn’t leave your home as clean as it was before he arrived, we will write you a check for $100 as part of our clean home guarantee! We are happy to announce that we are the first Minnesota based electrical services company that is offering a Lifetime Warranty that is valid on ALL Bonfe recommended repairs and services. We are so sure that you will be happy on our repairs that they are covered for as long as you live in that residence.